She is giving away a gift basket which includes: body wash, daily moisturizing hand and body lotion with a loofah, body butter, eye repair gel, facial masque, and hand soap. The basket also includes a travel size facial cleanser, freshener and moisturizer and will be matched to the winner's skin type. The retail value on these items is over $120.00. The scent of the lotion, body wash, and lotion is cucumber, which is the faintest scent. Also included is a set of brushes and a cosmetic bag with mirror. Today's hop will give you all kinds of awesome fall ideas. 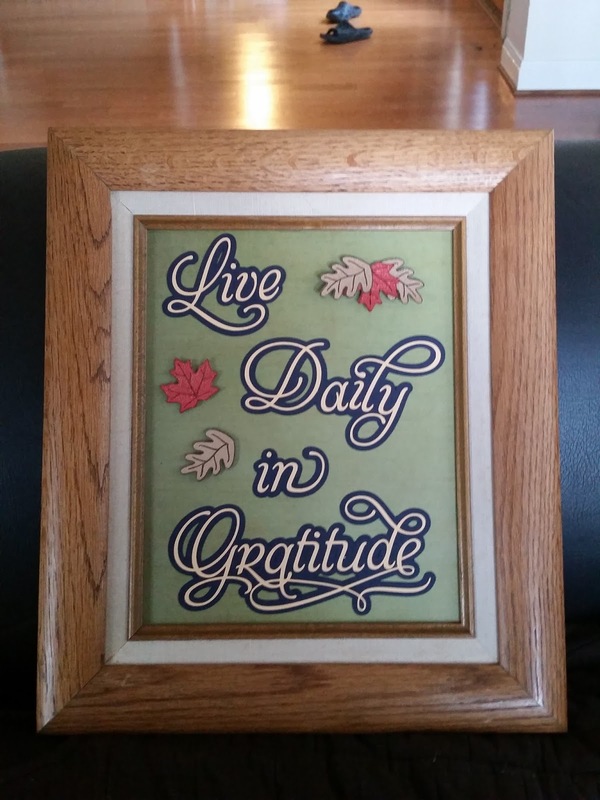 What to do with an old outdated frame...Turn it into a fall mantle piece or plaque. The big craze right now is vinyl but as much as I love using vinyl, I think it gets expensive to use on projects that paper will work just as well with and that is what is used in this project. 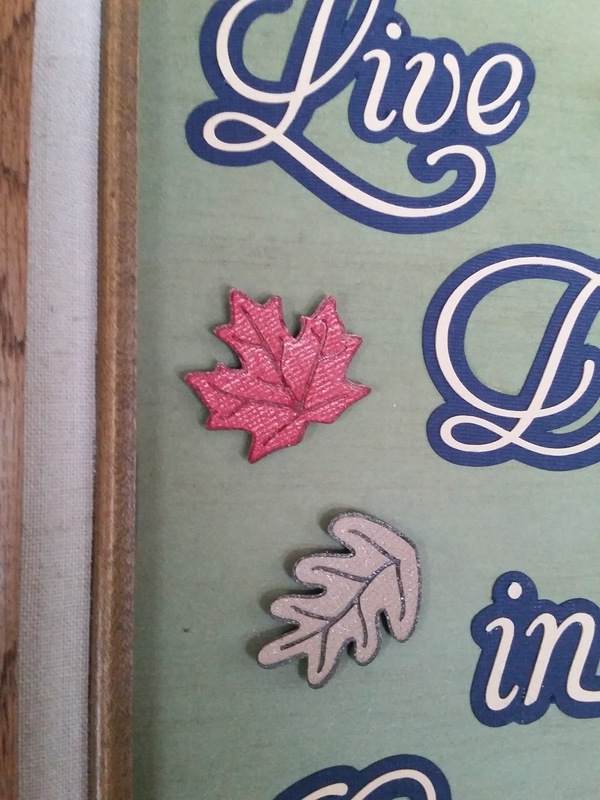 I used my Silhouette Cameo and a file from SVGCuts to make the leaves for this plaque. I used textured paper for the leaves. 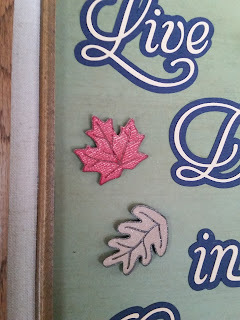 I also used a piece of scrapbook paper for the matting and then I used a font I liked for the wording. (Sorry I can't remember the name of the font I used. Thanks for stopping by today and next is line is Daphne. Please visit all the blogs in today's hop and don't forget to leave comments! very nice project! great job! This turned out really beautiful! Great way to recycle an old frame and turn it into a work of art! What a lovely frame. It would be a great gift. I love the font you used, and totally understand the expense of vinyl. I agree. That's why I have what I bought still untouched... So afraid to use it! Beautiful repurposing! Thanks for hopping along! Old frame to new decor! Great job. That would be a great hostess gift during the holidays with just a bit of modification. Great idea! And it turned out beautiful! Why have I spent so much on vinyl?? Your project is so nice. I really like it! I love your sign! Wonderful saying! Wonderful Fall Decoration for your home! Nice job and if you use paper, it makes it easy to change for the various seasons. I like this idea, I want to start framing some projects either for me or as gifts. Such beautiful wording in a wonderful creative setting. Your frame is absolutely gorgeous! I love everything about it.